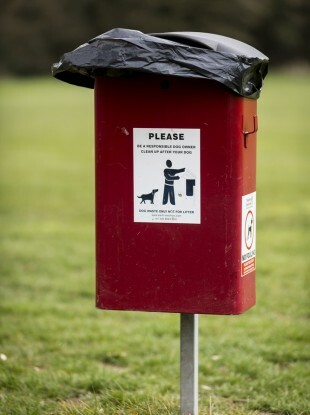 A DOG walker, who claimed he was unable to clean up after his pet in a Dublin park because of the number of syringes left behind by drug addicts, has avoided a €4,000 fine. Carer Liam Nolan, from Oliver Bond House, Oliver Bond Street, Dublin 8, was prosecuted for dog fouling by Dublin City Council after he refused to accept an on the spot fine on 14 June last at St Audeon’s public park. However, he avoided a conviction and a fine after arguing his case at Dublin District Court where he faced a charge under the Litter Pollution Act. He represented himself during the trial and told Judge John Brennan that he always uses the local park for dog walks and he cleans up after his pet. However, on the date in question he attempted to remove his dog’s faeces but he noted that within a “hair’s breadth” of it there was a syringe. He said he could not remove it and refused to accept a €150 fine from a warden whom he claimed “did not want to hear me”. After waiting with them for 10 minutes, he left. He said that a garda then approached him about it on nearby Thomas Street. Nolan returned to the park a day or two later and took photos of the needles he had seen which he showed to the judge. He said he had made reports to gardaí about the syringes in the park and claimed there was a used-needle bin there which has made the problems worse. In cross-examination, it was put to him that it was his responsibility to clean up his dog’s mess and dispose of it in a suitable manner. The dog owner told the court he showed pictures of needles to a council official who told him that specialist equipment was required and advised him, “I was not to go near that”. He told Judge Brennan that kids from the local school cannot go to the park which he claimed is used by hundreds of heroin addicts who attend the Merchant’s Quay homeless and drugs support service. He said he has also been told by a former official at the park that there were parts of the green area where things could not be picked up because of the drug paraphernalia. Judge Brennan said the litter warden had acted professionally and he had no doubt that Mr Nolan was belligerent but he was satisfied that this was because of a risk to his health and safety and his reason appeared to be genuine. He struck out the case. Email “Dog walker dodges €4k fouling fine due to drug-filled syringes scattered through park”. Feedback on “Dog walker dodges €4k fouling fine due to drug-filled syringes scattered through park”.